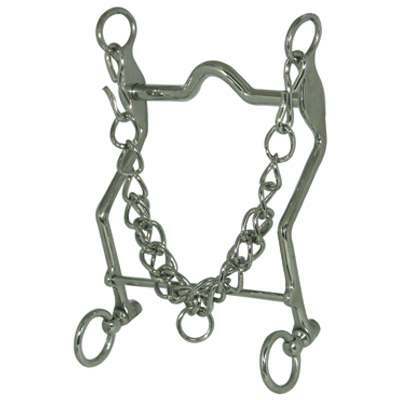 This Paso Fino Horse Bit is made from the finest materials available. Extraordinary feel, yet are easy to work with and provide maximum comfort for your horse. As shown in the picture above, These paso fino bits are high-quality horse tack items. This Bit measures 4 3/4'' in size and is made of top quality materials that are very durable. This product was designed to last for numerous years to come.